Former NASA astronaut Scott Kelly told MSNBC that Trump's desired military branch would be expensive and could threaten peaceful space exploration. President Donald Trump's "Space Force" plan is out of this world — and not in a good way, a former top astronaut said Friday. Retired NASA astronaut Scott Kelly blasted Trump’s proposed space military branch during an interview with MSNBC, telling Stephanie Ruhle and Ali Velshi that he saw the president's interplanetary scheme as little more than a waste of money that could jeopardize peaceful space exploration. “Any time you add more bureaucracy to an already large bureaucracy, it's going to cost a lot of money. I think the capability we're talking about is something that probably already exists in the U.S. military, in the Air Force, Navy, other armed services,” he said. "I spent 25 years in the Navy, and 20 of it at NASA. And this is not something that we ever really heard was a serious consideration over all that time." In June, Trump announced he was directing the Pentagon to create a new “Space Force” as an independent military service branch aimed at ensuring American supremacy in space. 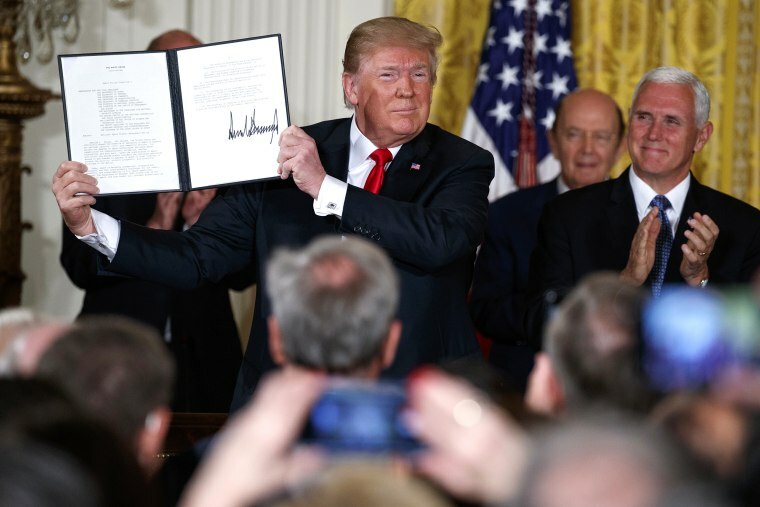 In his announcement, Trump pledged to return U.S. astronauts to the moon and eventually send a manned mission that would reach Mars. He framed space as a national security issue, saying he does not want "China and Russia and other countries leading us." But Kelly argued Friday that Trump would be better-advised to spend his time investing in a more timely mission — the ongoing cyberwarfare that the U.S. is engaged in with nations like Russia — as opposed to fantasizing about a future war in space. “How about we deal with the war we're currently in? The cyberwar that is, you know, trying to affect our democracy, the thing that's most important to the United States, which is free and fair elections," Kelly said.